Having to think about the release of Android Q already is both exciting and a reminder that Android is a disaster when it comes to updates. Few phones have Android Pie, yet here we are getting closer and closer to the release of what should be the first Android Q Developer Preview. We’ll try to push those bad thoughts aside because a leaked Android Q build has arrived with some fun new details to discuss. The folks at XDA picked up the leaked Android Q build with February’s security patches and flashed it on a Pixel 3 XL. 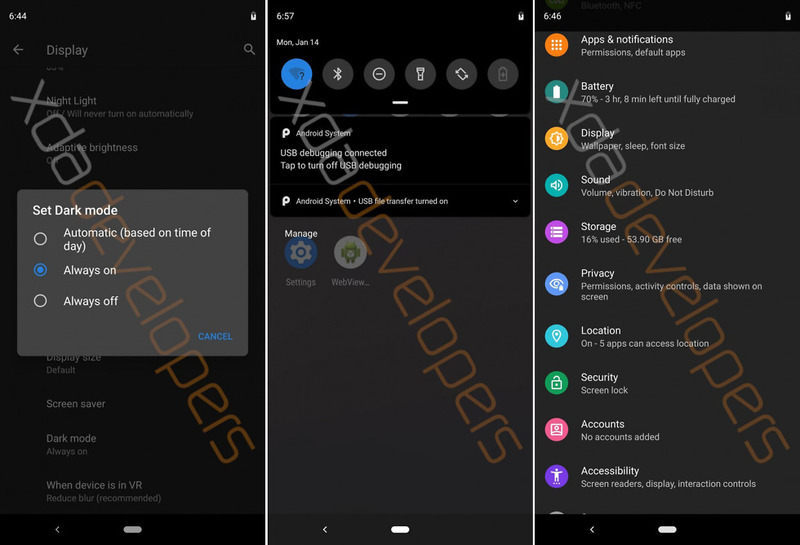 After diving in, they found a system wide dark mode toggle, permissions overhaul, hints at an Android desktop mode, and a screen recorder. The system wide dark mode is probably what you care the most about right? A full dark mode means that you’ll get more than just a dark portion of the notification settings shade and app drawer. This mode we’re talking about would mean dark settings, dark notifications, and more. Right now, stock Android has a “Dark Theme” that can be toggled to only darken portions of the UI. Taking that a step further, it could also mean forcing apps to flip to dark mode even if they don’t have one. This leaked build has a developer setting that might try and override apps, forcing them to switch to dark. That’s big, because instead of having Google and other app makers enable their own dark modes, Google may (finally) be letting you, the user, choose. 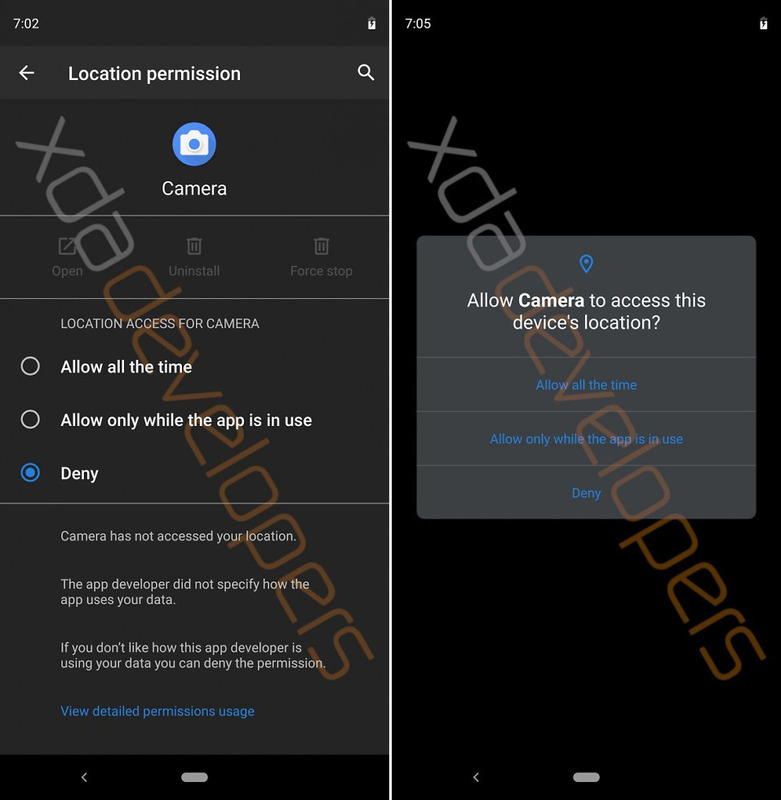 Permissions changes: The leaked Android Q build features a big change to permissions that apps ask for. The basics are that you get even more controls. For example, if an app wants location access, you can give it permission to only access location when in use. That’s a pretty important change, especially during a time where we’re all a bit annoyed at the excessive location tracking done by almost anyone involved in the wireless industry. Android Desktop Mode?  : There is some sort of embedded experimental desktop mode in this Android Q build, but XDA was unable to get it to work. What would an Android Desktop Mode do? I don’t know, but you immediately have to think of Samsung’s awful DeX software, right? If anything, I’m at least interested in seeing what Google envisions for Android on a desktop. I won’t get my hopes up for it being great, though. And those are ultimately the biggest things for now. Other bits they found involved the system file browser and sorting, lock screen controls moving to the Display section, additional evidence of a freeform multi-window experience, and a screen recorder, which is accessed like the screenshot tool is, by long-pressing the power button. When can we expect a first taste of Android Q? The first Android O and Android P developer previews each dropped in March, so penciling in two months from now is probably a good move. Seeing anything in there you can’t wait to have?